BLEACHED SQUARE WICK was originally designed for beeswax candles. Today, this wick is used in all types of candle systems. This unique construction combined with special treatment processes make it an excellent choice for waxes that are highly viscous when molten, like beeswax and vegetable wax. 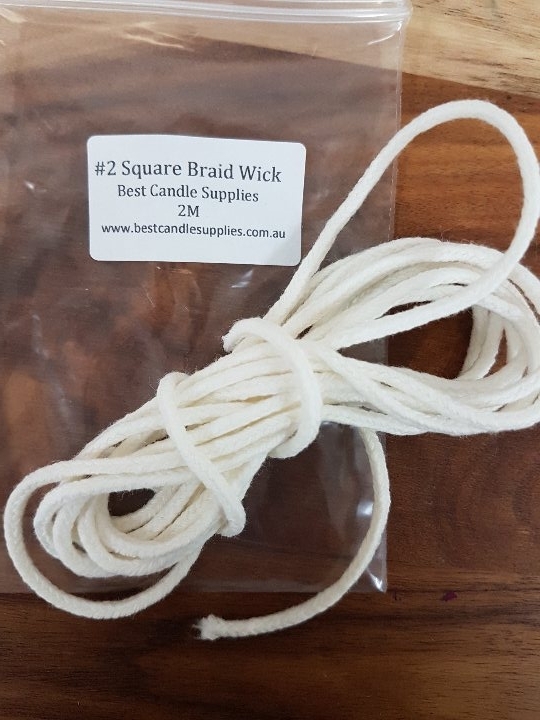 This Square Wick is specially engineered to curl while burning, minimizing carbon build-up and improving burn quality through out the burn life of the candle . Constructed of 100% natural fibres. Available in lengths of 2, 5 or 10 metres.